Since their humble beginnings nearly 70 years ago when the company was founded by Bobby Lynas, Lynas Foodservice has been dedicated to one word, Service. The aim is simple, to serve their customer with the best product and the best service they can provide. That vision has seen them evolve into the largest family operated Foodservice company in Ireland and recently has supported them in their expansion into Scotland. Their team of more than 450 staff is passionate about delivering more in everything they do- be that more service, more choice or more quality. Customers can order over the telephone or use their online ordering service which has the benefits of browsing full order history and has access to live pricing. They make more than 8,000 deliveries a week throughout Ireland and Scotland. All of their vehicles are multi-temperature, with full vehicle tracking, providing their customers with flexibility and peace of mind. Frozen, Chilled or Ambient – it all comes on 1 delivery, 1 invoice and with full traceability. Lynas Food Outlets are now located in Ballymena, Bangor, Belfast, Coleraine, Derry/ Londonderry and Newry and are open 6 days a week. Each outlet stocks a wide range of quality grocery, fresh and frozen products at incredible prices which provides convenience and all the expected trade benefits in a store. Causeway Prime is their very own craft butchery. The culture and the heritage of rearing stock on the farmlands of Ireland allows them to produce the finest cuts of meat for each and every one of their customers. 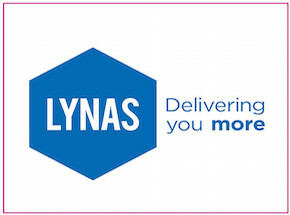 Their regional sales team are dedicated and experienced in your market and look forward to meeting the customer and sharing more about Lynas and what they have to offer. Covering the Ireland and Scotland they will ensure the products you need are delivered when you need them. Foodservice is a 24/7 business and you simply order today and they deliver it tomorrow.